Idéalement situé dans un des plus beaux quartiers de Charlottetown. Cette maison a été construite vers 1835. Trois chambres ont lits queen size, un quatrième dispose de lits superposés, et il ya un canapé-lit très confortable dans la tanière en bas. Sa «grande cour arrière est entièrement clôturé, avec grand porche arrière et barbecue. Cuisine est entièrement meublé et prêt pour se divertir. Eh bien comportés animaux sont provisoirement bienvenue en attendant la discussion avec les propriétaires. We loved it. Thanks Nancy and Phil. We stayed for 4 weeks. It was so close to downtown, made getting around by foot very easy. Lots of wonderful restaurants, activities, shopping and sight seeing. We were a large family group and found the house spacious, comfortable and clean. Bedrooms good size and beds comfortable. A/C downstairs, fans for all the bedrooms. Kitchen had all necessary equipment (except a tea kettle) that we required. Loved having the laundry. Nancy and Phil always replied to any questions within a 24 hour period. I might just suggest a little further instructions for the PEI recycling system, it is very specific. Would not hesitate to rent this property again. It is on a very historical street with many character homes. Donna and her gang were great tenants, totally self sufficient, and on the go all the time. After a full four week stay they left the house in immaculate condition. It’s was a total pleasure having them. Welcome back any time. Our family of grandparents, parents and children thoroughly enjoyed our stay at this Charlottetown property. This is an old, charming and well cared for home located within walking distance of the important downtown sites. We made good use of the kitchen - large and well equipped and enjoyed the spacious dining room for our meals and nightly board games. In the early evening, we often gathered on the back porch for a glass of wine and to plan our activities for the next day while keeping an eye on the children playing in the yard. We all slept well in the comfortable and attractive bedrooms, managed just fine with the one huge and one half bath and appreciated the laundry facilities in the 'spooky' basement (as the kids would say). Charlottetown served as an excellent central location for daily trips to the beaches and other sites but it was an evening at the theatre to watch the performance of 'Anne of Green Gables' that won the popularity vote, hands down. We had a wonderful trip to PEI and loved staying in this charming home! We came to PEI looking to enjoy what the island has to offer. This house was so well located I couldn't have asked for more. We enjoyed the stay to the max. The Nancy Willis Home Away rental worked extremely well for us, the home met all of our needs. The property gave our family lots of space to either enjoy each other's company or private time on our own. The house was clean and beds were comfortable. We had off street parking that accommodated both of our vehicles. It's location made it easy to access stores, the downtown area and the wharf. Sobeys (large grocery store) was only a few blocks away. The backyard and porch were much appreciated since we had a family pet along with us. We were delighted to have the ability to use the washer/dryer but the steps going down to the basement were difficult. We did a wildlife tour, enjoyed the Upstreet Brewery brews/food, and Tim Hortons, of course. Since the house is centered in Charlottetown we were able to take several day trip outings on the PEI. My family grew up in a four corner home built in 1906 so we enjoyed this historical home's uniqueness. 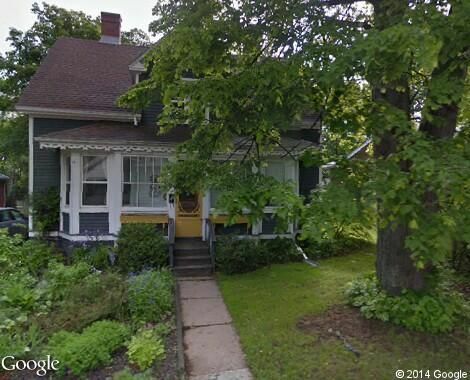 Wonderful well equipped home at a great location in Charlottetown. Walking distance to historic waterfront, grocery store and restaurants. CANCELLATION POLICY Cancellation Policy: From booking date to 30 to 15 days prior to check-in date: 50% of total booking value as cancellation fee. Within final 14 days or no-show: 100% of total booking value as cancellation fee. Please make sure you have adaquate travel insurance, just in case.